Although that outlook is certainly respectable, it’s a contrast to that of twenty years ago, when trade boomed with the signing of Nafta and other bilateral agreements, Lewis says. Organizations’ efforts to play the labor cost arbitrage often seen between developed and developing countries also drove trade, Lewis adds. Now “things are starting to level off,” Lewis says. The opportunities for labor arbitrage are steadily tightening, while the other trade agreements the US currently is negotiating, like the Trans-Pacific Partnership and the Trans-Atlantic Trade and Investment Partnership, appear to be years from finalization. Several other factors likely will moderate growth in trade finance. One is the strengthening dollar—it’s gained about 14% against the euro over the past year—which boosts prices on exporters’ products. Troubles in Europe could also impact the economy and trade finance in North America, given the commerce that takes place between the two regions: Together, the two continents constitute half the world’s trade, according to the World Trade Organization. Plus, the ongoing stalemate between Russia and Europe may dampen trade between these two regions, Lewis says. Even as many executives keep an eye on the larger issues driving the economy, much of their attention on a day-to-day basis is focused on the “issues that move the needle for their business, and what is feasible and what is not,” says Sebastien Delasnerie, North American head of trade finance with Citi. One key issue in managing a trade finance program is complexity, Delasnerie says. 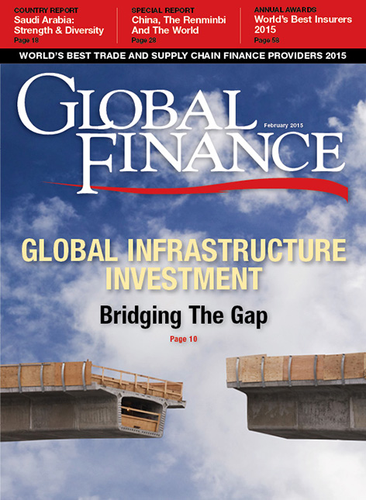 “Any trade finance framework, regional or global, must encompass the objectives and constraints of each geography and each business line,” he says. Thus streamlined, efficient solutions are critical. Although most frameworks at the outset aim to span business lines and markets, many firms phase in implementation, gradually demonstrate success and eventually realize their objectives.